We are crazy about our “Peeps” here at Florentine!! 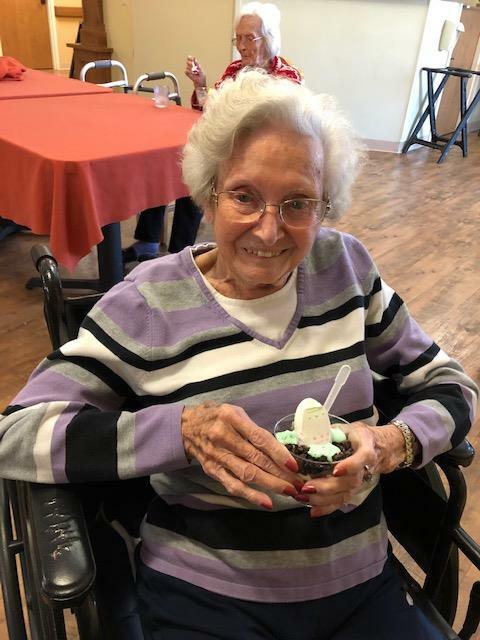 The residents always love our fun with food activity! They made Easter bunny gardens! Florentine Gardens Transitional Care and Rehabilitation and its parent company, Foundations Health Solutions, strive to be a "Culture of Care" - in every aspect of what we do. Whether physical health and rehabilitation or nurturing relationships and community, we aim to cultivate strong and healthy lives. Founded by Brian Colleran, Foundations Health Solutions is Ohio’s premier long-term care company. Formerly doing business as Provider Services, our team of experts has more than 15 years of experience successfully supporting over 100 multifaceted long-term care facilities.